If you haven’t seen or tried the new version of Windows yet, prepare to be dazzled—as well as very, very confused. Available now for download and coming pre-installed on new PCs, laptops and touchscreen tablets, Windows 8 represents a top-to-bottom reinvention of Windows. 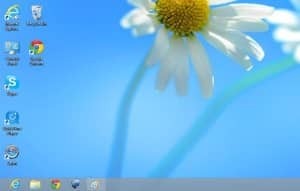 Instead of your familiar desktop, the first thing you’ll see in Windows is the “Start” screen, a constantly updating, multicolored patchwork of “live” tiles that display your email, calendar, photos, local weather, Facebook updates, breaking news, you name it. You’ll also find dozens of eye-popping, full-screen apps that look like they belong on a tablet rather than a PC. In fact, these new made-for-Windows-8 apps have been designed for touchscreen tablets and PCs (including Microsoft’s new “Surface” tablets), but you can also use them—somewhat awkwardly—with a traditional mouse and keyboard. All very impressive, but what if you just want to open your favorite Windows programs—or, you know, use your PC the way you always have? In that case, get ready for a big adjustment, plus lots of “Now what do I do?” moments. 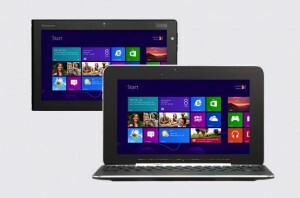 Windows 8 runs on touch-enabled PCs and tablets, as well as on traditional mouse-and-keyboard desktops that lack touchscreens. Windows 8: the standard version of the new Windows works on both desktop PCs and (pricey) Intel-powered tablets, and it boasts the new, touch-friendly Start screen, all the core Windows 8 apps (like Mail, Calendar, Messaging, Photos, and Internet Explorer 10), Microsoft’s new suite of security software, and the ability to run older Windows programs. You’ll be able to buy a stand-alone version of Windows 8 early next year; for now, though, it’s only available on brand-new PCs and tablets. Windows 8 Pro: A more robust version of Windows 8 with beefier, business-oriented security features, the ability to connect a remote Windows desktop, and support for corporate computer networks. If you have a PC with Windows 7, you can purchase and download a Windows 8 Pro upgrade right now; more on that in a moment. Part of the reason Windows 8 is so confusing to the uninitiated (myself included) is that it’s essentially two versions of Windows rolled into one. First, you’ve got the new Windows—the one with colorful, touch-friendly tiles and apps (about 10,000 made-for-Windows-8 apps are already available) optimized for tablets and touchscreen PCs. Then you’ve got the familiar, old-fashioned Windows, which you can access by clicking the Desktop tile on the Windows 8 “Start” screen. Now, the new Windows with its always-updating “live” tiles is feast for the eyes, and on a touch-enabled PC or tablet, you’ll want to reach out and touch it. All the nifty little tiles on the Windows 8 Start screen can be clicked with a mouse as well as tapped with a fingertip, and you can click and drag to swipe to the next screen. In other words, don’t feel like you need to spring for a new touchscreen PC in order to use the latest version of Windows. Here’s the “legacy” Windows desktop running on Windows 8. Notice anything missing? Click the Desktop tile from the new Windows 8 Start screen, and you’ll see your familiar program icons, the taskbar, the clock, and notification tray, all right where you left them—everything except the Start menu. In place of the Start menu is the aforementioned Start “screen,” your nerve center for all those flashy Windows 8 apps, as well as for any old Windows programs that you “pin” to the screen. You can access the Start screen anytime by flicking your mouse to the bottom-right corner of the screen, and you can get a list of all your apps and programs by right-clicking on the Start screen and clicking the All Apps buttons. Want to search, restart, hibernate or power off your system? Those functions used to live in the old Start menu, but now they sit in a hidden panel that slides out from the right side of the screen. Microsoft has a free tool—the Windows 8 Upgrade Assistant—that’ll scan your system, then warn you if any of your old Windows programs won’t work under Windows 8. Most of my Windows 7 programs seem to be running on Windows 8 without a hitch, although a couple of old utilities got nixed. The Windows 8 Upgrade Assistant will warn you if any of your apps—or if your system itself—will have any trouble with the new Windows. 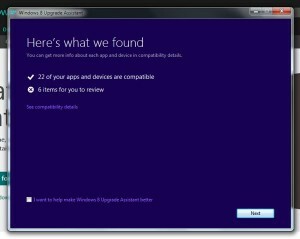 You can also search Microsoft’s Compatibility Center to see if Windows 8 will play nice with your favorite programs. As the days, weeks, and months roll on, it’ll be more and more difficult to buy a new PC that isn’t running Windows 8. That said, there’s nothing stopping you from sticking with Windows 7—or an even earlier version of Windows—on your current system. Indeed, Windows 8 is such a radical change from Windows 7 that I recommend holding off on upgrading unless you really, really want a taste of the future. So, how long could you stick with Windows 7? Well, Microsoft currently plans on supporting Windows 7 until at least January 2020, so no need to feel rushed. If your PC is running an authorized version of Windows, you can download and install the Windows 8 “Pro” upgrade immediately if you wish. The upgrade costs $40, and you can download it from the web. I downloaded and installed the update on one of my older Windows 7 PCs, and the entire process took about two hours—not bad. You can also order the Windows 8 Pro upgrade on a disc for $70. 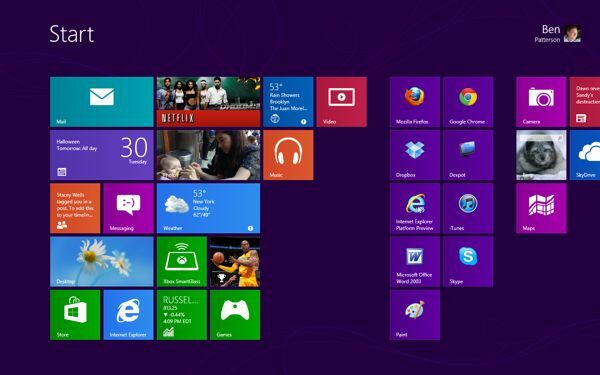 I’ll have more Windows 8 tips and tricks for you in the coming days and weeks. Have any Windows 8 questions? Let me know!